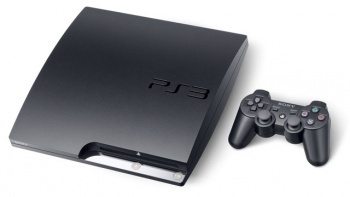 Sony is victorious in its first legal battle over the new USB PS3 mod chip. You can say this for the Australian legal system: It can move fast when it wants to. Just a week after Sony was awarded a temporary injunction against Australian distributors of the PSJailbreak - a USB mod chip that allowed the use of homebrew and pirated software on the PS3 - the federal court has ruled in the company's favor and made the injunction permanent. The defendants - OzModChips, Global Solutions International, Ryan Emmanuel and Ken Tolcher - have been banned from importing, distributing, promoting or selling the PSJailbreak and must surrender any stock they currently hold, as well as any they receive in the future, to a third party acting on Sony's behalf. In addition, the group will be required to pay Sony an unspecified amount of compensation as well as covering the legal costs. The ruling isn't all that surprising, as the Australian courts seem very sympathetic to platform holders, having awarded Nintendo a similar victory earlier in the year. Sony has also started legal proceedings against a US distributor of the PSJailbreak, so we'll have and wait and see if it can repeat its success elsewhere.